Discretion – a power being rather loosely placed in the hands of politicians and officials – is the root of corruption and uncertainty, and consequent disinvestment in South Africa. South Africa already has the legal framework required to turn around and start down the path to prosperity. The Rule of Law, a principle found in section 1(c) of the Constitution, states that discretion should be effectively circumscribed and limited. An official has excessive discretionary power when they are permitted to, in effect, base decisions on their own subjective interpretation of the facts and likely informed by their opinion or prejudice. Inevitably, their self-interest, either consciously or subconsciously, influences how they exercise their discretion. An official responsible for granting licences may tend to favour persons with whom they have had a good relationship in the past, whereas those persons with whom they have disagreed or by whom their policy decisions have perhaps been ridiculed are likely to be left out in the cold. An example of unlimited discretion is found in the Schools Act. Section 46 provides that a private school can be registered only if an MEC for Education “is satisfied” that the grounds for registration, as determined by that MEC, have been met by the school. In other words, an MEC is empowered to base the grounds for registration or withdrawal of registration on their sole judgement. No criteria are included in the Schools Act to guide or limit an MEC in their determination, meaning they can be creative and make it difficult for a private school to be established. Furthermore, registered independent schools need to make a point of maintaining good relationships with MECs and their associates, lest they feel inclined to make another “determination” that would lead to the withdrawal of the school’s registration. Section 29 of the Constitution, however, gives South Africans the right to establish their own independent educational institutions, and states that if those institutions do not discriminate on race and their standard of education is on par with public institutions, they must be registered. There are many other examples in South African law where the rule of man, rather than the Rule of Law, is the order of the day. Discretion must be circumscribed with objective criteria and limited to only those cases where it is absolutely necessary. “Public interest” should be excluded as a primary criterion because every tyrant and petty official has their own conception of what is in the interest of the public. The Minister of Finance appears convinced that it is in the public interest for South African Airways to receive generous, multi-billion rand bailouts every few years. The laws of economics, and just plain common sense, clearly recognise that this draining of the coffers filled by hardworking taxpayers does not serve the public interest. 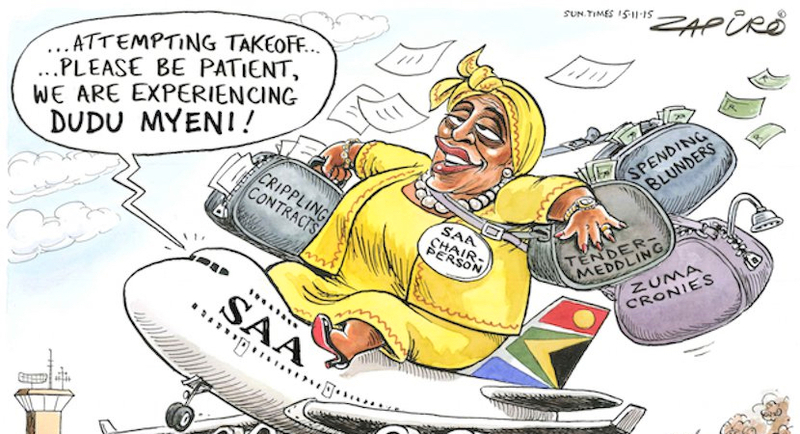 SAA’s Dudu Myeni – real life example of the way “entrepreneurial politicians” pull State levers of power for personal benefit. More magic available at www.zapiro.com. If objective criteria were employed, a minister would be able to bail out a state-owned enterprise only after a socio-economic impact assessment had been conducted by an independent contractor and determined that it was likely to start turning a profit as a result of a once-off bailout. Otherwise, the Minister should be empowered only to liquidate the SOE. Excessive discretion makes it possible for whole swathes of policy, or ways in which policy should be applied, to be changed according to every circumstance or every time a minister or official is replaced. Investors abroad, and even locally, shy away from sectors where this kind of uncertainty is prevalent. The negative consequences of discretionary power do not follow only the discretion allowed regulators, but also that allowed politicians. For instance, the Minister of Foreign Affairs recently gave diplomatic immunity to the First Lady of Zimbabwe, who is suspected in South Africa of having committed assault with intent to do grievous bodily harm. All that constrained the Minister was that, in her opinion, to grant diplomatic immunity was in the public interest. 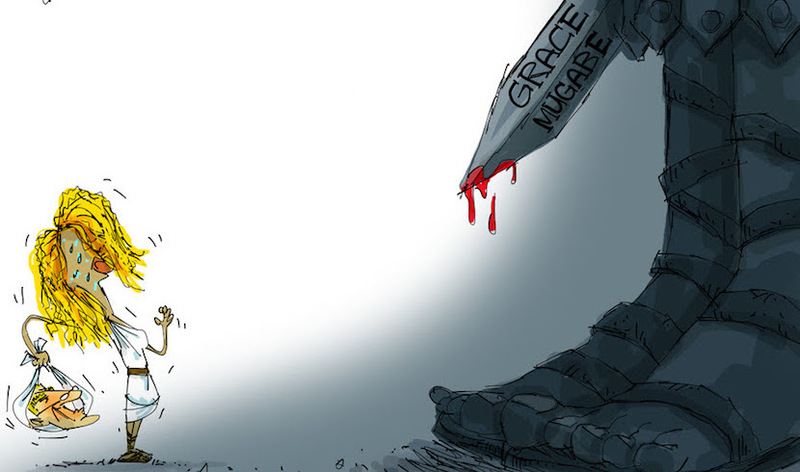 Gerrie Nel will represent Gabriella Engels if the state doesn’t take action against Zimbabwe’s first lady, Grace Mugabe, who assaulted her. More magic available at jerm.co.za. This is a serious offence, and, with an effective political pardoning of a suspect, the South African government has signalled to foreign investors and potential high-skilled foreign migrants that the law in South Africa is not applied equally, but according to political considerations. With more circumscription, for instance, for a court to first determine whether a successful prosecution was possible before diplomatic immunity could be granted, the power invested in the Minister might have adhered to the tenets of the Rule of Law. 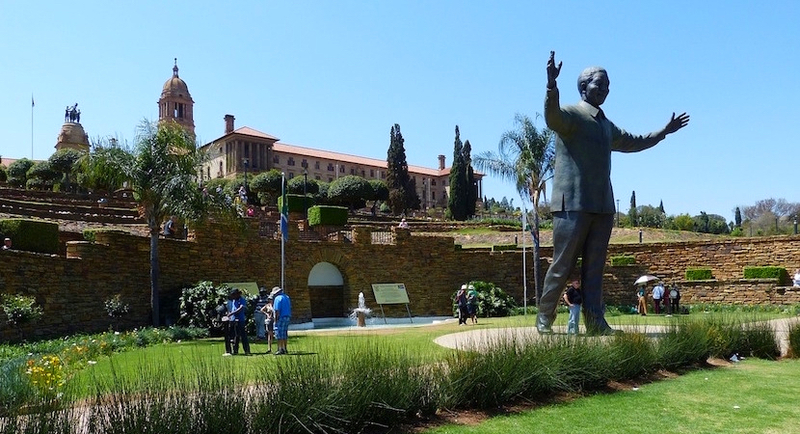 South Africa is often said to have good law, but lacklustre enforcement of that law. Reading our law, however, paints a different picture. Legislation – or, worse yet, regulations that do not go through the parliamentary process – that grant excessive and dangerous amounts of discretionary power to officials and politicians, abound. Corruption and low growth are the natural consequences. 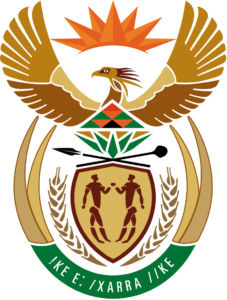 The Constitution commits South Africa to the Rule of Law. We are failing that commitment.